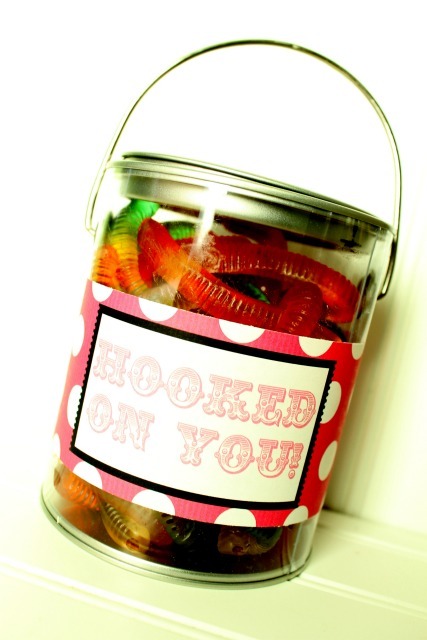 If your valentine loves to spend his time fishing, this cute gummy worm filled pail is the perfect valentine for him. Kristyn even has free 'Hooked On You!' printables in four colors to make the project even easier. You can check out the details of this fun hooked on you valentine over at Lil' Luna.